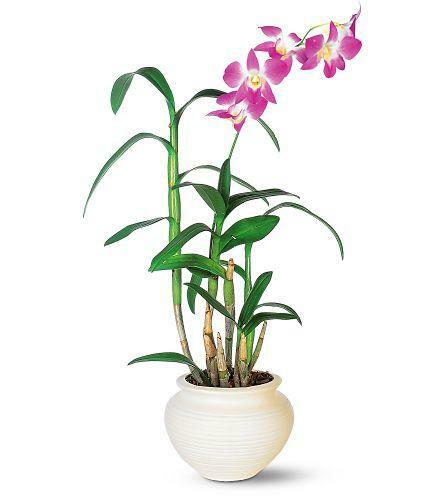 This lovely orchid has several delicate blossoms on a long stalk. As one of the easiest orchids to grow, it's one of the easiest choices to make. 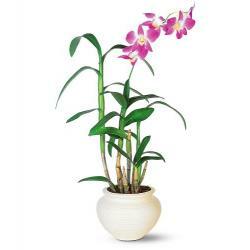 One purple and white dendrobium orchid arrives in a white ceramic jardiniere.